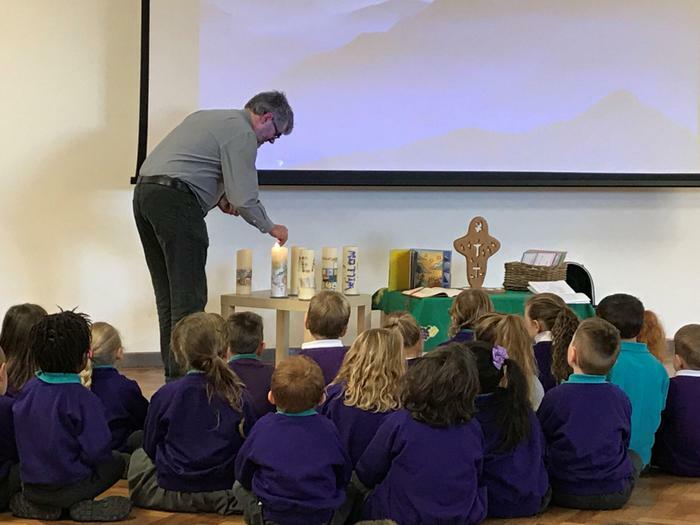 As always it was wonderful to welcome Rev Bob to celebrate Candlemas with the school during Collective Worship on Monday. 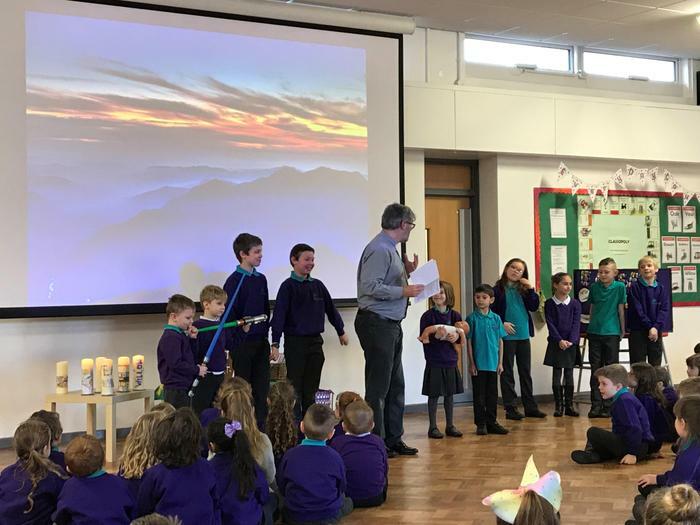 What an exciting worship! 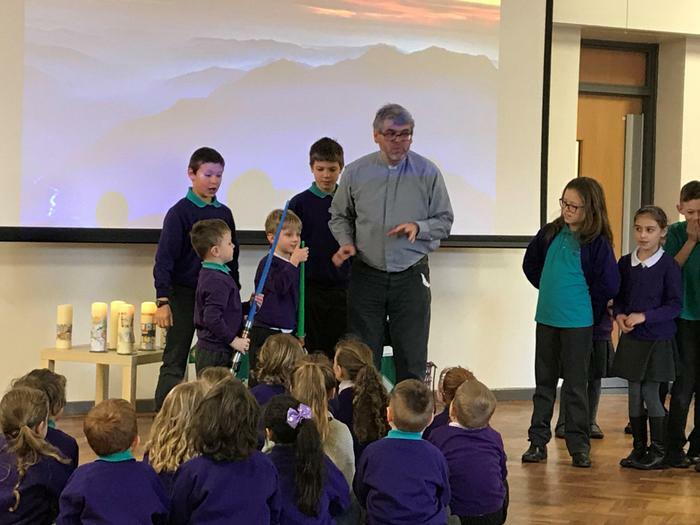 The children joined Rev Bob in retelling the story of Jesus’ presentation in the temple—including a lightsaber battle!